The inaugural symposium on the work of a major poet. Three weekly installments of essays—by peers, elders, students, collaborators, colleagues, friends, observers and witnesses of Kwame Dawes—attentively engage with his work to inform us of the nuances of his significance while resonating with the ethics, aesthetics and insights that make him so remarkable. The contributors responded to questions of poetics, thematics, craft, lineage, and artistic and cultural contributions, critically examining the lines and arcs of Dawes’ poetry, thought and praxis and, in several cases, specific memories of him in order to address his impact personally, socially and historically. 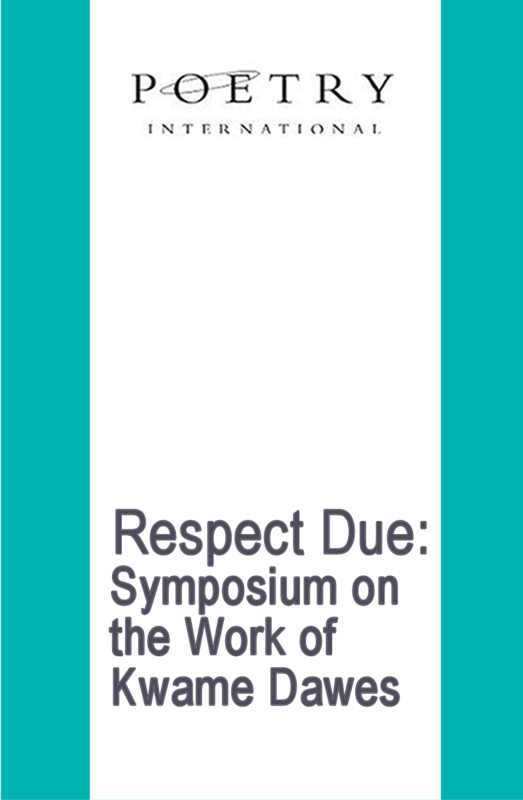 Visit the Poetry International site to read the full symposium.